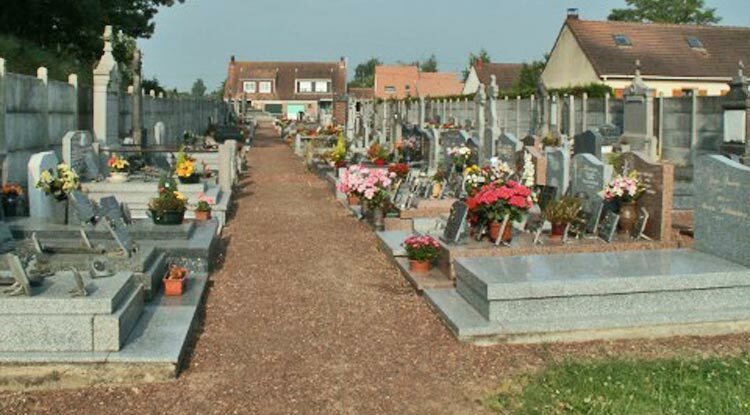 The communal cemetery is south-east of the village on the road to Plouvain. There are seven British graves; they are in two plots which lie on each side of the main path from the entrance. The village was rebuilt with the aid of the people of Toulouse in the south of France. This explains why the village memorial is also dedicated to Ste Germaine, patron saint of Toulouse.